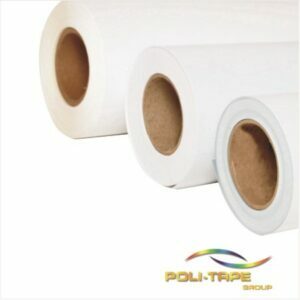 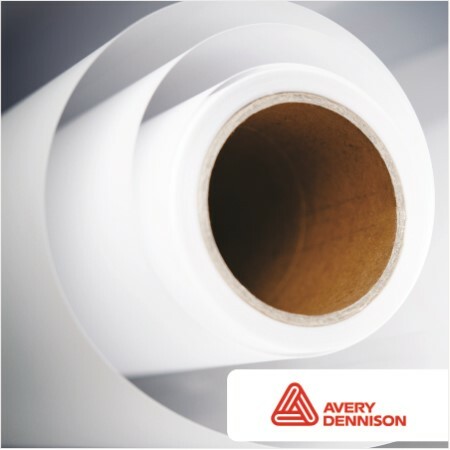 Poli-Print 905P is a monomeric white, matt self-adhesive vinyl with a solvent based clear adhesive. Grafiprint M112P is a monomeric white, gloss self-adhesive vinyl with a clear permanent adhesive. 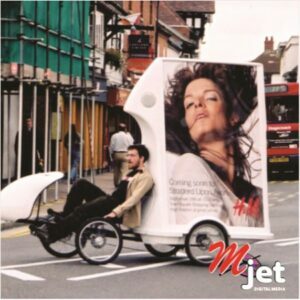 Promo Print is a white or clear gloss 100 micron vinyl suitable for short promotional advertising.